So this year, I was all set to do NaNoWriMo. I knew what I was writing — book 3 of the Imminent Danger series — I knew the plot, I knew the characters, I knew everything. I was completely prepared to knock that 50k out of the park. Then I sat down on Saturday, fired up my word processor, and started typing something completely different. I am now 6k words into a re-write of a fantasy book I wrote a few years ago that suffered from extreme “lack of plot” syndrome. I have totally revamped the characters, the plot, the setting, and the magic system. It’s going really well. It’s just not at all what I intended to write. They say part of being a writer is being able to sit down and work on a project every day, even if some days you’re not quite feeling it. But I say, if your muse pulls you in a different direction, listen. It’s all well and good to say “writing is my job”, but jobs are dreary, and writing should be fun. So the next time you’re wading through chapter sixteen of your WIP and get the sudden urge to write a short story about underwater unicorns, do it! 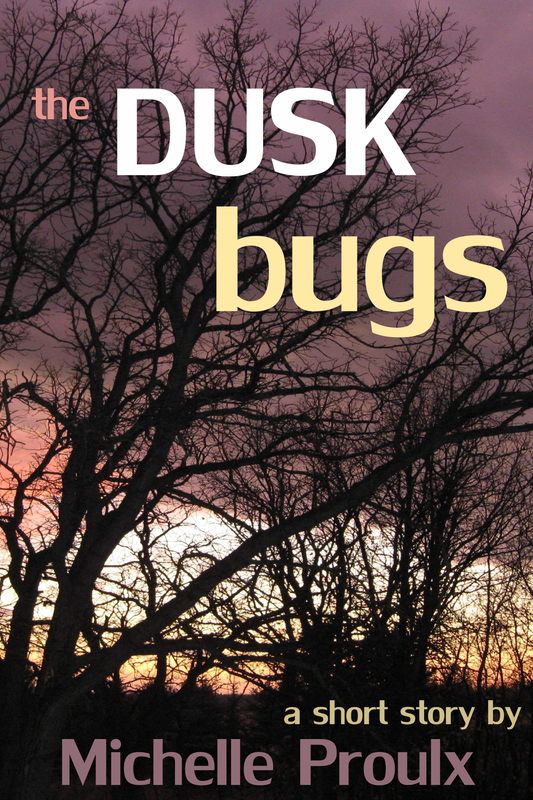 Don’t forget to check out my new short story, The Dusk Bugs, available free of charge from Smashwords! Good luck with NaNoWriMo. Funny how a muse just walks switches the plan at the last second. Yep, had the same thing happen to me, though luckily I was still in the planning stage. It’s going well though! Nice! You’re doing this story for NaNo, right? How goes the eternal word count battle? Good luck with NaNo! I’m still thinking about it, but I really am not finding time to sit down and write… not when I get home from work at 8 p.m. I’m considering buying a small laptop I can use on the metro, buuuut we’ll see. Also, about Voldemort’s name… I don’t know why, but Mark Neelstin is the one that made me laugh the most. It sounds so normal! Marks are usually such nice fellows! Haha I didn’t see that one! Imagine the Dark Lord standing over you, ready to kill you, and then one of his Death Eaters hurries over and goes, “Mr. Neelstin? We’ve got a situation.” And then you die laughing because it’s such a ridiculously nonthreatening name. And YES for the small laptop idea!!! When I loved in Korea, I did that all the time — took the hour-long train to Seoul with my tiny little netbook that fit in my purse, and wrote the whole way! That’s a brilliant idea! That way you know that even if you fall behind during the first three weeks, you’ve got a full 7 days to catch up. I may steal this idea for next year … mwahahahahaha.